Hobart and Newcastle share much in common, our brutal convict past, attractive historical maritime setting, a comparable population and straight talking. We also have a battle with booze. Over a decade ago, Newcastle had the highest rates of assaults, assault of police and drink driving charges in NSW. Every weekend our 14 CBD pubs and clubs traded up to 5am and attracted about 20,000 young and thirsty patrons from towns up to 100km away. Our inner-city streets were a literal bloodbath, emergency departments were choked with highly intoxicated, damaged, and at times, violent patrons — some with catastrophic and fatal injuries. Courageous police and paramedics rushed from brawl to brawl. Local residents were hostages in their own homes and surrounding businesses could no longer attract insurance for their plate glass windows. There were only a handful of winners in this tragedy. Powerful pub owners made a killing from alcohol supplied in breach of Responsible Service of Alcohol laws. Also benefiting were some politicians who received donations from the alcohol industry desperate to avoid laws that prioritised public and police safety over pub profits. This situation was only reversed when local police subsequently joined by residents, small businesses, concerned citizens and independent researchers were successful in 2008 in attaining the adoption of modest evidence-based measures in the independent liquor and gambling tribunal — not the NSW government. They included a precinct-wide unconditional reduction in trading hours from 5am to about 3am and modest drink controls. Not surprisingly, the “Newcastle conditions” were bitterly opposed by the pub owners and the Australian Hotels Association. They launched a hysterical national campaign denigrating the outcome and falsely claiming the “draconian conditions had devastated Newcastle”. The many police, doctors, nurses, ambulance officers, parents and community member groups supporting the modest law reforms were demonised as “wowsers”, “fun police” and “nanny-staters”. Of course, you cannot expect a very powerful and cashed-up lobby group to support any proven lifesaving conditions that may erode a primary profit stream. The industry and their political supporters became masters of blame-shifting including “a lack of individual (patron) responsibility”, insufficient police, transport, ineffective feel-good education buddy type programs and that it was all the fault of illicit drug use. Hobart’s current alcohol problem is better compared with Newcastle’s record than Kings Cross, which had organised crime and drug connections or the Sydney CBD, which remains alive. 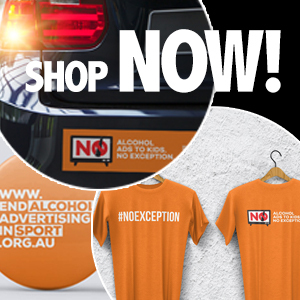 Because of the adoption of a package of sensible and modest alcohol supply laws in Newcastle, weekend night assaults have fallen about 72 per cent, preventing well over 6000 younger people from being assaulted. Much to the disappointment of the AHA, safer streets and pubs have resulted in a more than 100 per cent increase in smaller, diverse and vibrant licensed premises. This transformation has achieved a triple-win — increased business prosperity, more jobs for young people and the better use of police and health resources. Nearly all of the 14 pubs remain open including two owned by Newcastle City Council. Some have changed owners but this is a normal part of business including the alcohol, food and hospitality industries. Some of these popular Newcastle pubs still have long queues of patrons on weekend nights. Stopping protracted alcohol violence and related harms is a political problem relating to the capture of the regulation of the alcohol industry, by the alcohol industry. NSW has prohibited political donations from the alcohol, gambling, tobacco and developer industries, a decision upheld by the High Court of Australia. It boils down to who you should trust and believe. Frontline police, paramedics, emergency doctors, nurses and related staff or vested interests and spruikers of the powerful alcohol industry making substantial political donations? For the public, parents, patrons, brave emergency workers and Hobart business-owners, we share with you hope and inspiration that it’s possible to achieve sustained and substantial reductions in alcohol violence and improved business prosperity and vibrancy with reduced costs to all Tasmanian taxpayers. Tasmania has an enviable international reputation as a beautiful, pristine and peaceful destination. Don’t allow this to be stained red by the vested self-interests of a powerful lobby group.